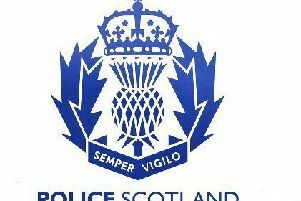 Police Scotland officers at Govan have this morning (Wednesday, November 9) issued a warning to business owners across the West of Scotland to be on their guard following reports of an attempted fraud. A number of different businesses have been contacted over the last few weeks via email where a request to transfer funds has been made to someone with access to that company’s finances. The email itself appears to be legitimate and from a senior employee within that particular company. No money has so far been lost by these companies, however police are warning everyone to be vigilant in respect of any email requesting funds being transferred. It also appears that the same scam has been operating across the UK, and officers at Govan are liaising with their colleagues across the country. Whilst a number of these incidents have been reported to police, it is believed that there are many more which haven’t. Police Scotland would like to take this opportunity to remind business owners to be vigilant, and thoroughly check emails carefully, particularly ones regarding money transfers. Any business who has been targeted is asked to contact police via 101 to report it.